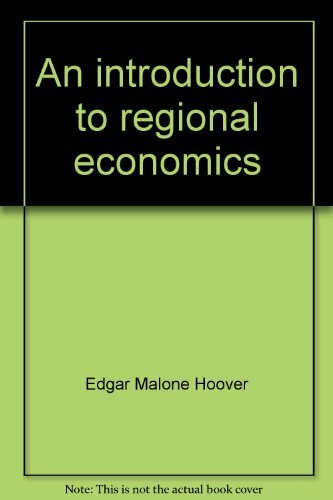 This book is designed primarily to serve as a college text for the student's first course in regional economics, at either the upperclass or the graduate level and running for either one or two terms. It presupposes no previous exposure to regional economics as such, nor anything beyond a minimal background in basic economics, nor any advanced mathematical expertise. The author considers the modeling of choice, the modeling of procedural rationality, knowledge, memory, the choice of what to know, and group decisions. The second part discusses the fundamental difficulties of modeling bounded rationality in games. This book develops a consistent theory of evolution in its wider sense. The author of the book traces a continuous line of evolving information sets that connect the Big-Bang to the firms and markets of our current socio-economic system. Classic of economic and social theory offers a satiric examination of the hollowness and falsity suggested by the term 'conspicuous consumption', exposing the emptiness of many cherished standards of taste, education, dress, and culture.